Edward M. Smith was selected for inclusion in Ohio Super Lawyers for 2012 through 2018. Ed holds a certification by the Ohio State Bar Association as a Specialist in Estate Planning, Trust and Probate Law, one of less than 200 lawyers in Ohio to have attained that honor. In his law practice, Ed represents and counsels financial institutions, local corporations and businesses and serves as the personal lawyer for hundreds of individuals and families in the Miami Valley, including many professionals. Besides Ohio, Ed is also admitted to: the United States Court of Appeals for the Sixth Circuit; the United States District Courts for the Southern District of Ohio and the Northern District of Texas; and the United States Court of Military Appeals. Ed is a member of the Ohio Bar College, earning twice the number of hours in continuing legal education required by the Ohio Supreme Court. He was honored to serve his country as a Captain in the United States Air Force, Judge Advocate General (JAG) Corps from 1974 to 1978, during which time he tried courts-martial cases and provided legal advice to commanders, security police, and USAF personnel. Participation in professional organizations is an important part of Ed’s life. He is a long-time member of the Ohio State Bar Association and served as Chair of its Legal Ethics and Professional Conduct Committee (2014-2015). While serving on that Committee for 25 years, Ed represented the Ohio State Bar Association as counsel before the Ohio Supreme Court in a number of disciplinary cases. 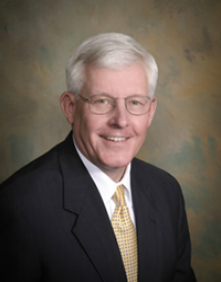 He is Chair of the Dayton Bar Association’s Estate Planning, Trust and Probate Law Committee and a Foundation Fellow. In addition, Ed is an Editorial Board Member and a frequent contributor to the Dayton Bar Association's monthly magazine, Bar Briefs. Ed has volunteered well over 250 pro bono hours to various professional and charitable causes. Ed provides volunteer guardianship services for Life Essentials, a local non-profit agency advocating for the disabled and the elderly. He is a frequent speaker at Naturalization ceremonies held monthly at United States District Court, is a participant in the Volunteer Lawyers Project of the Dayton Bar Association and the “Wills for Heroes" Project, helping to provide wills, powers of attorney and health care documents for first responders and their spouses. He has been appointed guardian, executor, and trustee by the Probate Court in numerous cases. Ed is active in his community, serving as: Chair of the Board of Directors, Catholic Social Services of the Miami Valley (2016-2018); former board member of the Kettering Parks Foundation; and former board member of the Epilepsy Foundation of Western Ohio. He is a member of the Dayton Rotary Club and is Chair of the “Excellence in Teaching” Awards Program sponsored by the Notre Dame Club of Dayton. An experienced teacher and mentor, Ed has given numerous seminar presentations on probate, estate planning, tax, and ethics topics for the Dayton Bar Association and Ohio State Bar Association. Numerous lawyers consult with him on problems in these areas for themselves and their clients. He is a past instructor of Freshman Humanities at the University of Notre Dame, and past Business Law Instructor. Over the years, he has presented legal topics to lay audiences, including churches, service organizations, and Cana programs of the Archdiocese of Cincinnati. “Raising the Bar” (February 2016), regarding the benefits of the OSBA and DBA. “Compose Before You Doze” (February 2015), regarding best practices in estate planning. “Three Traps for the Unwary” (February 2014), regarding probate court situations that are often overlooked by lawyers. “Scaling the Cliff” (February 2013), regarding The 2012 American Taxpayer Relief Act. “Snippets and Snarls in Probate Court Practice” (January 2013). “What’s Hot; What’s Not: Cooling Off the ‘Hot Powers’ in Ohio’s Version of the Uniform Power of Attorney Act” (November 2012) (Co-Author). “Waiting ‘Til the Midnight Hour: No Love Comes Tumbling Down” (January 2012), reviewing Statutes of Limitation and Action Dates in Probate Cases. “Temporary Insanity Revisited” (November 2011), regarding the 2010 Tax Act. In 1973 Ed was awarded his Juris Doctor degree from the University of Notre Dame Law School, with honors. He also received his undergraduate degree in Government from Notre Dame (A.B. 1970, with honors), and is a 1966 graduate of Chaminade-Julienne High School in Dayton. He and his wife Kathie have two children and four grandchildren.